The front image on the page may change from time to time, but in the top right corner of the screen, you’ll see the “Sign In” link. 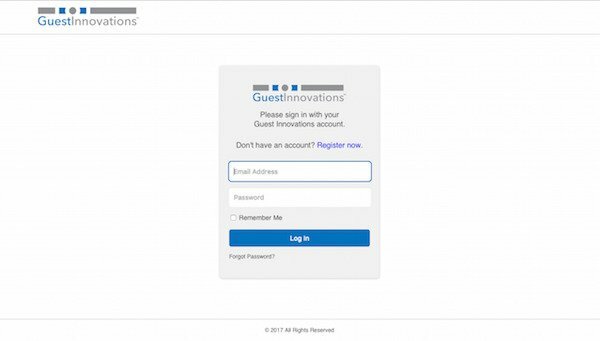 Click "Sign In" and use the same email address and password you used to set up your Guest Innovations account. If you are having trouble logging in, or you are unsure about your login information, please contact the Rezku support team. We’re happy to help! 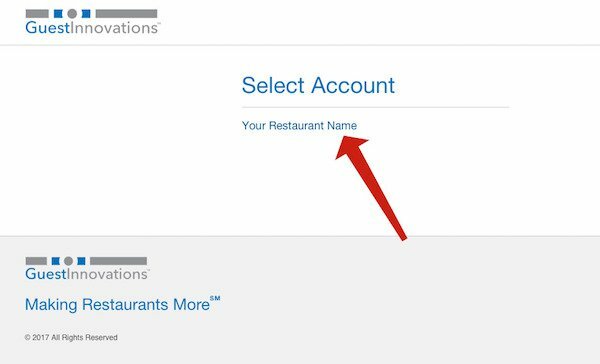 Once you have successfully logged in, click on the name of your restaurant. When you log into Back Office you’re taken to your restaurant Dashboard. 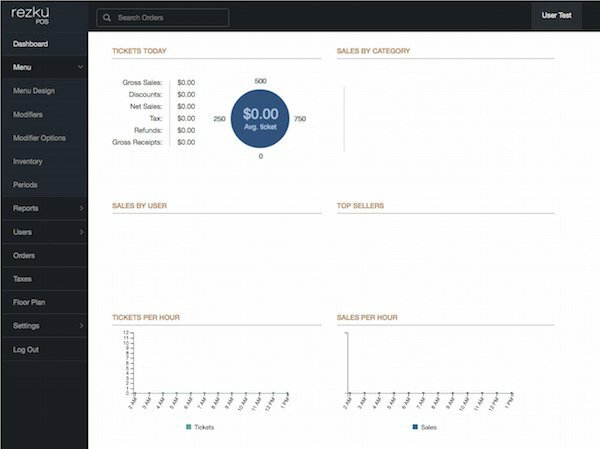 Once your restaurant has some sales data to show, it will appear here in Dashboard. 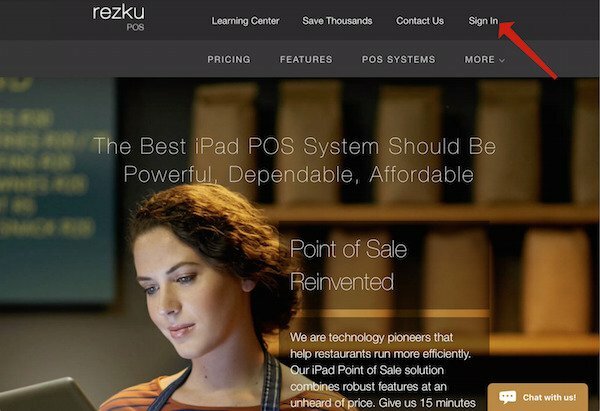 The different areas of Rezku POS Back Office are listed along the navigation column on the left side. Each setting on the left side column is described in the Back Office document available from Guest Innovations.